It’s not the advent of AI in healthcare, but rather perpetuation of the status quo without it, that should scare us. According to The Washington Post, the US leads the world in health inequality. Indeed, for all of the tremendous medical and technological advances, hardly a day goes by without a news report about the influence that gender, socio-economic status (SES), or race can have in terms of limiting healthcare access and reducing outcomes. Not enough good healthcare options in the right places: The best healthcare providers tend to be concentrated: they are drawn to top hospitals, with the top tier of colleagues, in the most desirable places to live, with patients that can pay for services. Medical care costs continue to rise: The rising cost of doctors (already high, and rising at 7-10% per year), pharmaceuticals, and expensive medical technology lies squarely on what’s referred to as Eroom’s law, the evil twin of Moore’s law, highlighting that the cost of healthcare exponentially increases over time. As we all know, those who are fortunate enough to live in the right place and/or have enough money have no problem getting the best healthcare available; They have ready access to the best diagnosticians and can consult with the best specialists for treatment. 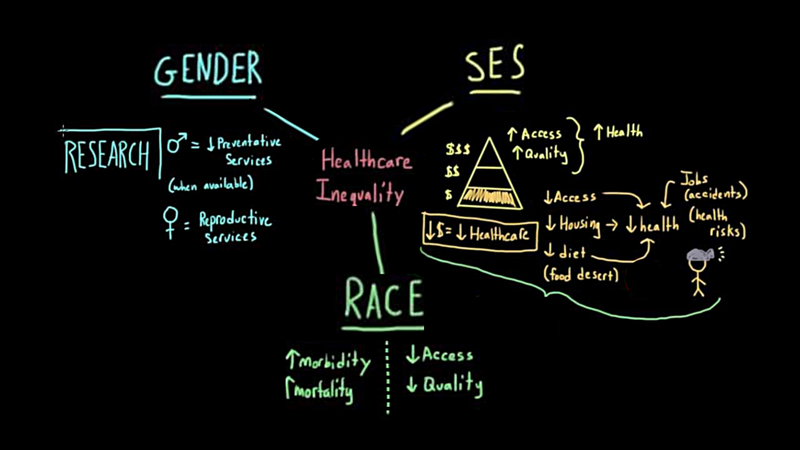 Those patients whose access to quality healthcare options is limited - whether by geography or things such as their gender, race, or socioeconomic status - are left to make do with whatever healthcare resources may be available to them. But what if there were a technology that could grant any patient - regardless of who they are, where they live, or how much money they have - access to the same quality diagnostics, interventions, and treatments previously available to only the most fortunate among us? This is exactly what Artificial Intelligence can do. The application of AI to healthcare is not science-fiction… it’s just science. Good science. And it’s already improving healthcare outcomes today. There is a growing body of evidence that many diagnostic and treatment decisions might be best handled through rigorous analytical modeling rather than clinician intuition alone. Findings regarding the potential of AI to improve diagnosis of vexing medical conditions appear in the media daily, with recent articles about the diagnostic prowess of AI have covered everything from mental health to skin cancer to retinal disease to Parkinson’s disease and dementia. But AI in healthcare is not just about remediating low-quality issues. Even top healthcare providers and institutions are reaping benefits. 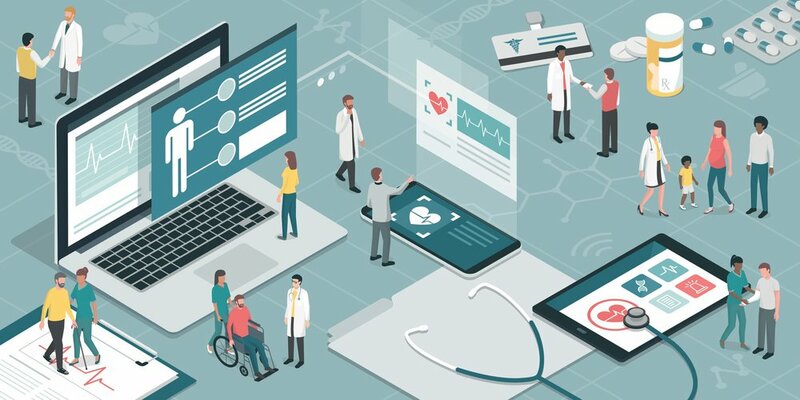 Highly-regarded Oschner Health System recently piloted an AI platform that accurately predicts deterioration of hospitalized patients hours before an adverse event actually occurs. Intervening proactively, rather than reactively, Oschner treatment teams have reduced the number of codes by more than 40%. The improvement in healthcare outcomes and reduction in healthcare costs that AI can provide are eagerly anticipated by patients, providers, and payers alike. In the media, it seems to be very popular to fear and decry the advance of Artificial Intelligence. But when it comes to healthcare, it’s the status quo that should scare us. With the advent of AI, the potential exists to give anyone access to the best doctors, the best tests, the best analyses, and the best course of treatment… all at a far broader scale and far lower cost than the current healthcare system could ever possibly deliver. Vijay Pande’s full article “How To Democratize Healthcare: AI Gives Everyone The Very Best Doctor” can be found at Forbes.com.